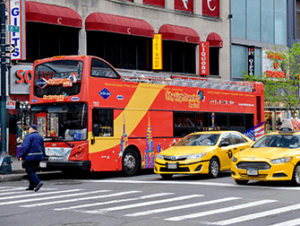 The New York Bus Tour and Attractions Discount Package, also known as the FreeStyle Pass, is a good choice if you would like to take the Hop on Hop off bus tours as well as visit some of Manhattan’s famous attractions. This discount package gives you access to all loops of the Hop on Hop off buses (for 72-hours) and includes entrance to either 3, 5 or 7 New York sites, cruises or museums! This package is a great, all round option for exploring the city. What’s included in the New York Bus Tour and Attractions Discount Package? The discount package includes two passes: a 72 hour Hop on Hop off bus tour pass and an attractions pass to visit 3, 5 or 7 attractions. You can make use of all bus loops over the 72 hours, in addition to visiting 3, 5 or 7 attractions (anytime within 14 days). Choose from an extensive list of attractions, cruises, tours, meals and museums. 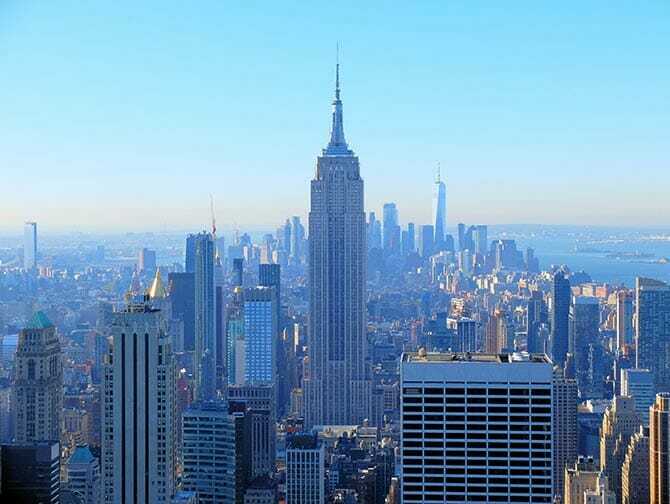 For example, visit Top of the Rock, One World Observatory and take the ferry to the Statue of Liberty. For a full list, please look here. What is the Advantage of the Discount Package? The advantage of this discount package is that you can combine unlimited touring on the Hop on Hop off bus with visiting the city’s attractions. This discount package is best for travellers who want freedom. If you want to decide for yourself what you want to see and when, this is a great option. The attractions pass is valid for 14 days, so you can take your time and explore New York at your own pace. It’s an ideal choice for families, seeing a lot of the city whilst not having to walk too far. You also don’t have to pay at any of the attractions, saving you time and hassle. It’s all about enjoying the bus rides, guides commentary and visiting the attractions you like. When you buy this discount package you can use all bus loops, and hop on/off whenever you like for 72 hours (the pass is valid from the time of exchange). The buses stop at more than 40 places in the city. There is a live tour guide on all the buses, as well as pre-recorded tour narration available in English. Extra: with this discount package you can also go on a night tour to see New York’s lights. The buses have four loops: The Downtown loop, the Uptown loop the Brooklyn loop and the Night tour. You can use the Gray Line and CitySightseeing Hop on Hop off buses. How often do the Buses run and how long is one Tour? If you’d like to visit more than 7 attractions, I recommend buying a New York Pass. You can read more about the New York Pass here. Eric’s tip: I like this package because it gives you complete freedom. You don’t need to pick, beforehand which attractions you want to visit and when. You can decide that whenever you want, except for the Statue of Liberty. 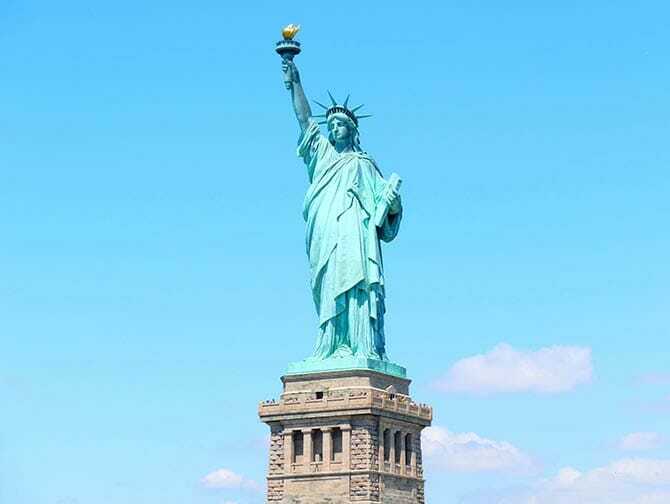 If you want to visit Liberty Island, please request that ticket when you are exchanging your voucher in New York.